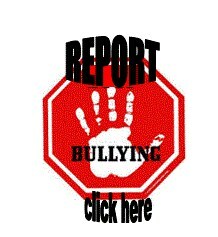 Campus administrators shall investigate all reports of bullying. The campus administrator shall promptly take interim action to prevent bullying during the course of an investigation. When the investigation is complete the administrator shall compile a full written report of the complaint and the result of the investigation including a determination of whether bullying occurred. A copy of the report should be sent to the Superintendent or designee. To the greatest extent possible, the District shall respect the privacy of the complainant, persons against whom a report is filed, and witnesses. Bullying occurs when a student or group of students engages in verbal or written expression, physical, social or psychological aggressive behavior directed towards a less powerful person or group that is intended to cause harm, distress or fear. What are Types of Bullying? Sending, posting, or sharing negative, harmful, false or mean content about someone else. Sharing personal or confidential information about someone else causing embarrassment or humiliation. Bully: displays power in some form (size, popularity, athleticism, knowledge, number, etc. ), thrives on feelings of dominance, lacks empathy, uses blame, does not accept responsibility, craves attention, and may have a small network of friends. Victim: may lack social and/or assertiveness skills, may be passive, may experience feelings leading to the inability to concentrate, may lose interest in school, and may consider suicide or violence toward others. Bystander: has feelings of empathy yet seldom steps forward, feels powerless to defend the victim, behaves in a way to prevent becoming a victim him/herself, may begin to see bullying as the "norm," may feel guilt for not intervening, can successfully prevent or intervene if given instruction for intervention strategies. Mutual conflict - which involves a disagreement, but not an imbalance of power. Unresolved mutual conflict can develop into bullying if one of the parties targets the other repeatedly in retaliation. Social rejection or dislike is not bullying unless it involves deliberate and repeated attempts to cause distress, exclude or create dislike by others. False Claims: A student who intentionally makes a false claim, offers false statements, or refuses to cooperate with a District investigation regarding bullying shall be subject to appropriate disciplinary action.